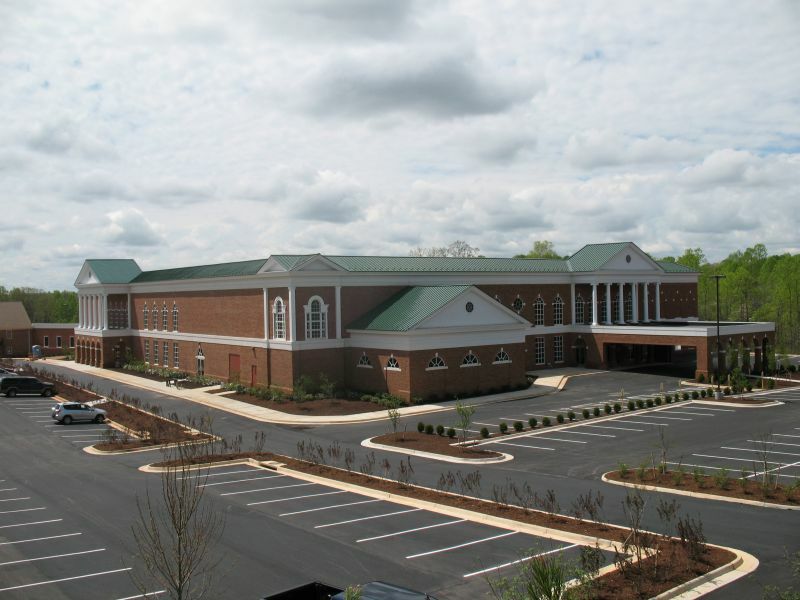 Heritage Baptist Church in Lynchburg contracted Coleman-Adams to provide construction services for a large Sanctuary and Class Room structure. The main building structure consists of a pre-engineered metal building. Master Engineers And Designers, Inc. provided Structural Design Services to Coleman-Adams for foundations, retaining walls, mezzanines, a walkway bridge to the existing facility, opening lintels, and a large screen wall. We also design support steel for a curved theatrical stage curtain for the main platform in the sanctuary.